Masada "There is a life of tradition that does not merely consist of conservative preservation of the spiritual and cultural possessions of the community. There is such a thing as a treasure hunt within tradition, which creates a living relationship to tradition and to which much of what is best in current Jewish consciousness is indebted even where it was--and is--expressed outside the framework of orthodoxy." 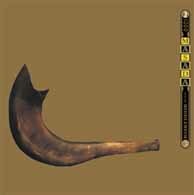 Started in 1994, Masada has quickly become one of John Zorn's most popular and adventurous musical projects. The Masada songbook is Zorn's attempt at forging a new form of Jewish music, one consciously rooted in the past and with an eye to the future of Jewish culture. 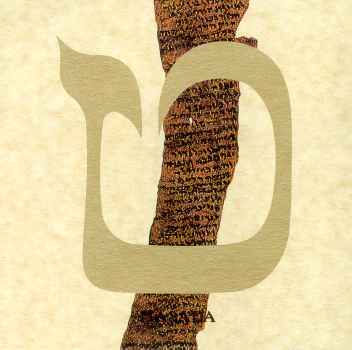 Zorn's two hundred or so Masada compositions integrate elements of klezmer, Eastern and Middle music with jazz, avant-garde, and classical, to produce this new form of Jewish music.It does not emphasize the unity and permanence of the Jewish experience, but rather its many facets and aspects. Zorn doesn't draw on one tradition, but on many. Like Zorn's "Great Jewish Music" series on Tzadik, he identifies Jewish music as not just klezmer, but all kinds of music that Jews of the ages have lived with, composed and performed. All these types of music, from Mahler's symphonies to Burt Bacharach's pop melodies and Lou Reed's dissonant rock are echoed in the Masada songbook. The project seems to indicate a major shift in Zorn's output and intent for his music. Compositionally, it was an opportunity for him to explore more traditional jazz influenced song writing with melodies and changes. Although not all of the Masada songs reflect this more conventional approach to composing, most seem to fit squarely within the jazz tradition of two repetitions of the melody seperated by a solo section. The standards he set for himself were that the songs should be played by any group of instruments, and none of them should exceed three stave lines. The music also seems to represent a shift in Zorn's relationship to the listener. While much of his earlier projects like Naked City and Spy vs. Spy initially confront the listener, daring them to sit through the performance, Masada is a very appealing project. It seems to be more of a contemplation of issues of Jewish identity and heritage as opposed to an attack on the listener's perception of music. 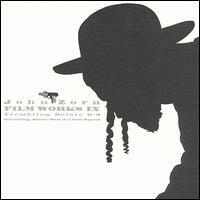 Like many earlier Zorn projects, it contains a political, as well as a musical, message. News For Lulu and The Big Gundown both championed music that Zorn felt had been unfairly ignored by the conventional music establishment. 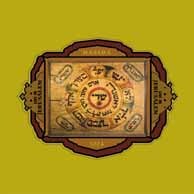 Masada's aggressive and solid sound seems to reflect a new self assertive Jewish identity that seeks to understand the many triumphs and tribulations of the Jewish diaspora over the centuries. The music is being performed by several Masada groups. The original Masada quartet (John Zorn: alto sax, Dave Douglas: trumpet, Greg Cohen: bass and Joey Baron: drums) draws heavy influence from Ornette Coleman quartet from the 60's and the Gerry Mulligan, Chet Baker piano-less quartets of the 50's. Masada is improvisation at its best, with the horns weaving complex lines around each other, and the rhythm section is one of the most fluid and flexible I have ever heard. 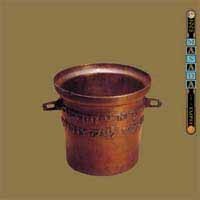 This band has recorded nine albums and one EP for DIW, and three live albums for Tzadik since 1994. They still occasionally tour Europe and play New York City two or three times a year. The Masada is a once in a lifetime ensemble akin to the John Coltrane Quartet with McCoy Tyner and Elvin Jones or the Miles Davis Quintet of the late 60's. Their performances are a clear example of why they are such an unusual jazz group. The band typically receives the response you would expect at a rock concert, not an avant-garde jazz performance. Hard-core fans rush for good seats with crazed abandon, tapers go to great lengths to smuggle in recording equipment, and encores are the rule, not the exception. In addition to the original Masada group, Zorn has released three albums of Masada Chamber Ensembles, Bar Kokhba, The Circle Maker, and the soundtrack to The Port of Last Resort on Filmworks VIII, all on Tzadik. These albums feature the Masada compositions being played by a variety of Zorn's favorite improvisors: Anthony Coleman, Marc Ribot, John Medeski, Erik Friedlander and others. The first disc of Circle Maker features the Masada String Trio (Mark Feldman: violin, Erik Friedlander: cello, Greg Cohen: bass). The second disc finds the string trio joined by Marc Ribot, Joey Baron and Cyro Baptista. Masada is my favorite project by Zorn; I never get tired of listening to the quartet with Dave Douglas, Joey Baron and Greg Cohen. If you ever have a chance to see them live, do so. Seeing them in September of 1997 changed the way I think about music. They also influenced Penn State graduate Zack Furness, as he explains in his senior thesis on some spiritual interpretations of Masada. From what I know, this project of cultural Zionism is different from nationalist Zionism, which seeks to create a state defined by Jewish ethnicity. While I have very strong feelings about the state of Israel, I believe the project of cultural Zionism to be a healthy and positive project that celebrates Jewish culture accomplishments across the millenia. Masada celebrates the diversity of Jewish identity and spirit that has come from the Jewish diaspora around the globe. Jewish identity should not be exclusively centered in a specific location, it is changed and bound up in the places Jews have lived and settled. 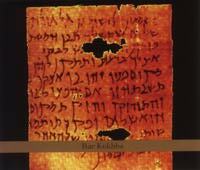 Click below for my comments and recomendations regarding Masada related albums.